If one could combine the ominous look of a modern jet fighter with the flight characteristics of a jet trainer, it would serve a lot of jet pilot's needs. Such is the 1/6th scale F-16 from Skymaster. 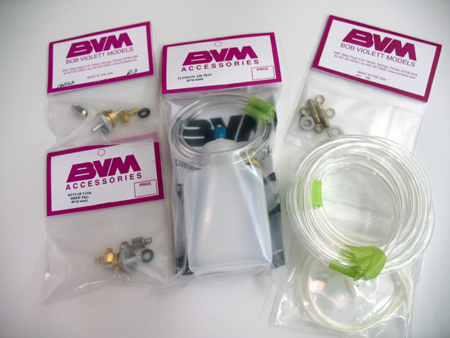 We assembled this "Minute Men" adorned sample at BVM and created an instruction manual and a few parts to enhance the product a bit, then we started flying it. After a few minor Center of Gravity and control travel adjustments, we were amazed at how simple and stable this jet is, especially in the landing pattern. While we experimented with gyro assist on the rudder and flaperon mixing, we discovered that this Falcon can be easily flown without the added complexity. Powered with a JetCat P-160SX, the top end speed and vertical performance are all you need. But, it is the landing pattern and high alpha touchdowns that are so impressive. Once the model is "on speed" (about 50mph) in the landing pattern, incremental throttle adjustments totally control the glide slope and touch down. 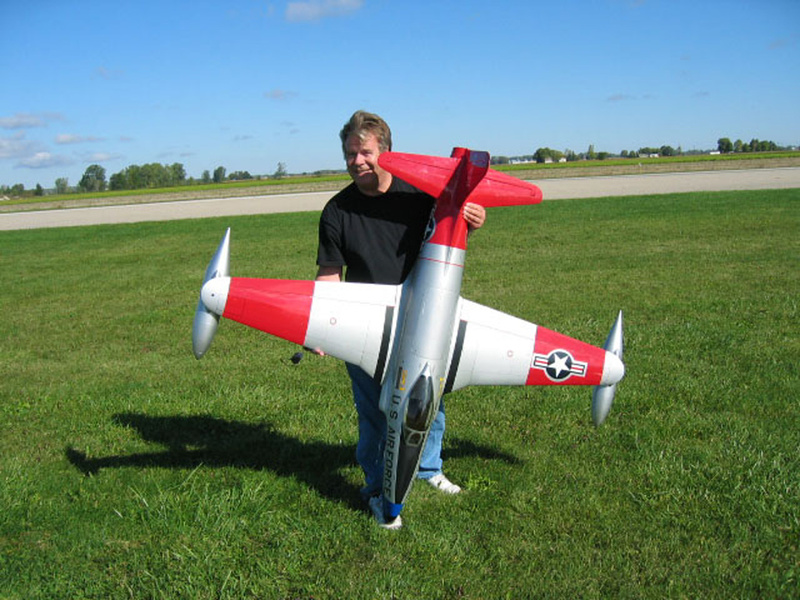 You can even flare the model to a tailpipe dragging attitude without a hint of wing drop. The Skymaster F-16 landing gear is a superb piece of engineering and execution. The air over oil shock absorbers offer excellent ground handling and directional control for straight ahead take-offs and landing roll outs. Yes, this is a big powerful jet, but it would be hard to find a more user friendly product. 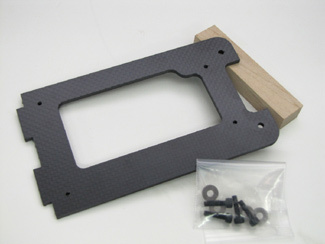 If the nose gear retract mounting system gets damaged, BVM has a replacement Carbon Fiber plate and hardware package. Photo instructions are part of the package. 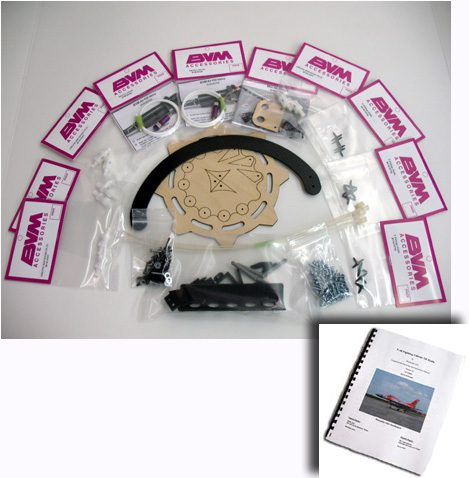 Laser cut former + parts, C/F crossbrace, air fittings, control horn, fill valves, air gauges, hardware, etc. 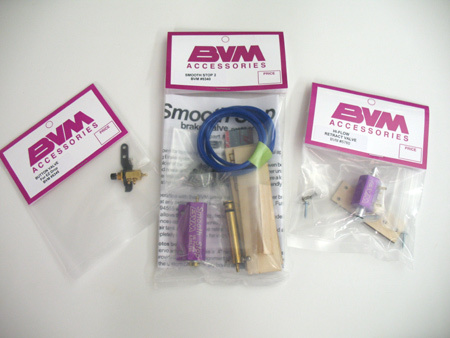 Note: We use the BVM valves here vs. the Multi Valve to guard against gear collapse when the radio is turned off.